Developed by Richard Arms, Ease of Movement (EMV) is a volume-based oscillator that fluctuates above and below the zero line. As its name implies, it is designed to measure the “ease” of price movement. Arms created EquiVolume charts to visually display price ranges and volume. Ease of Movement takes EquiVolume to the next level by quantifying the price/volume relationship and showing the results as an oscillator. In general, prices are advancing with relative ease when the oscillator is in positive territory. Conversely, prices are declining with relative ease when the oscillator is in negative territory. EMV Dynamic Color visually represents price movement by changing color depending on position above or below zero line. 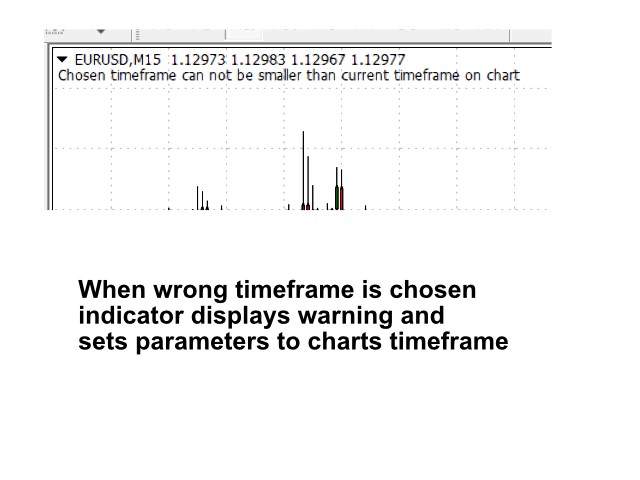 With EMV oscilator You are no longer limited to price movement of charts timeframe. EMV has build in multi-timeframe function allowing You to check price movement on higher timeframe then the one of current chart. You can set on screen alerts or simply turn on phone push notification.